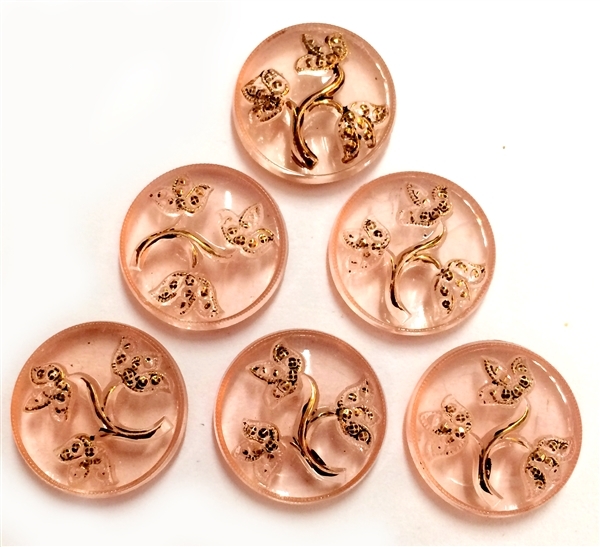 Vintage crystal peach pink floral stones, flat back, cabochons, floral stones, glass, vintage German. Jewelry making supplies, vintage jewelry supplies, designer stones, glass focals. Just beautiful with a pretty gold flower accents. It is a clear imitation crystal peach pink color. Measuring 18mm. Six (6) piece lots.